HÀ NỘI – Weak development plans and a lack of investment were the main reasons cited for the poor performance of Việt Nam’s public library system by a recent survey conducted by the National Assembly Committee on Culture, Education, Youth, Adolescents and Children. One of the main issues highlighted was the slow speed at which library development plans are created and adopted at the central and local levels. The Library Ordinance was passed in 2000 but a plan for development by 2010 with a vision to 2020 was not approved for another seven years, and results were modest. So far, 20 per cent of provinces nationwide have approved library development plans. Thirty per cent of provinces were in the process of creating their plans and 50 per cent have made no steps toward a plan. At present, the annual funding for the library system is so modest that it does not meet basic operation requirements. Every year, the Việt Nam National Library is allocated VNĐ18 billion (US$776,000) while province-level libraries are provided with VNĐ2.6 billion ($113,000). District-level libraries are given VNĐ53 million ($2,300) and commune-level libraries receive no funding, the survey revealed. The money is mainly spent on staff salaries and to purchase a small number of new books. The national programme on libraries set a target of 20,000 books per library, but in fact the number was just 2,000. The lack of funding was preventing libraries from buying modern equipments for readers, making libraries a less attractive destination for visitors. 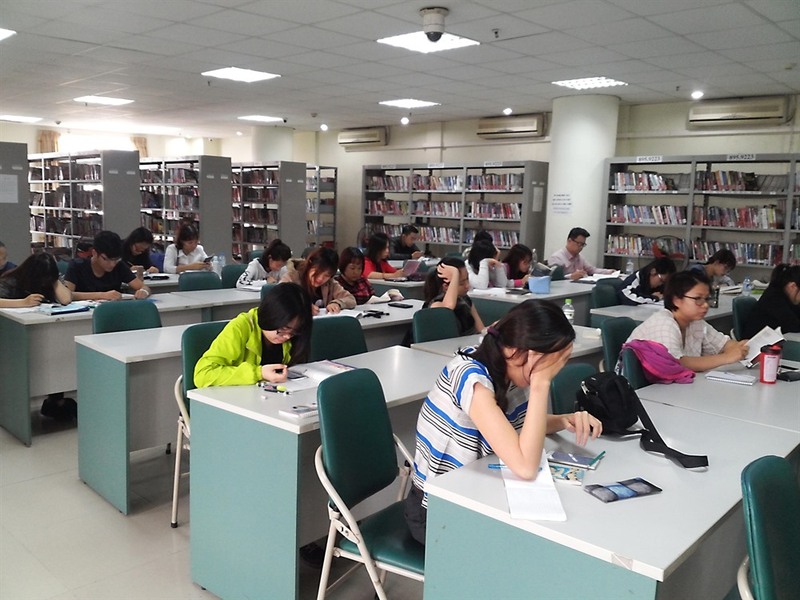 At a recent seminar, historian Dương Trung Quốc suggested that as people’s reading habits change, the actions libraries should take to attract readers is also shifting. “The first mission of libraries in Việt Nam is to digitalise reading materials,” Quốc said. “Although I live in Việt Nam, I have been able to access sources from many libraries all over the world thanks to technology,” Quốc said. Digitalising catalogues means readers can access any library book at home, he said. “Vietnamese youth have embraced technology, so libraries need to catch up quickly to avoid being left behind,” he said. The Việt Nam National Library has been digitalising books, but they are still not easy for readers to access. Quốc believes libraries can reverse the trend of losing readers by transforming into multi-purpose venues for community events, cultural activities and intellectual exchanges. “Libraries should not be places for only reading,” he said. Finding quality workers for libraries is also a concern. According to Maj Gen Nguyễn Phương Diện, member of the Party Central Committee’s Theory and Literature and Arts Critics Commission, unqualified staff in State offices are often transferred to libraries because office leaders believe library work is easy. But in fact, Diện said, library workers need to be skilled book keepers and be able to guide readers.